We help our clients get actionable insight from all data sources available. We enable you to react to market changes, seize opportunities or mitigate new risks. We maintain clean, structured, and timely data in your spend dashboard “at the center”, with all the relevant data source connections enriching the content. 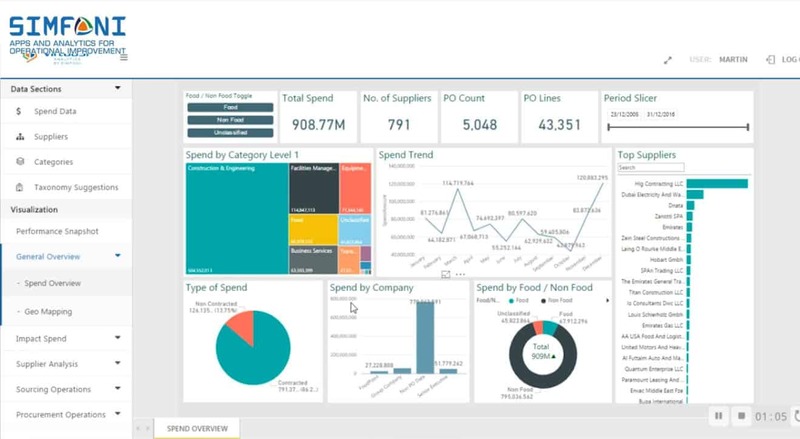 “Big data” coupled with innovative visualization, predictive and semantic analytics produce new insight into your spend base never seen before or that would have taken you hours/days to find in your data. Live insight analysis on “Price Variance & Benchmarks”, “Supplier Intelligence” – specific to your procurement challenges – makes it easy to pinpoint what to do next to achieve the business objectives. Pre-configured alerts triggered by critical events and automated reporting speed up your time to market.